How do I create and store content in ATOMIZED? 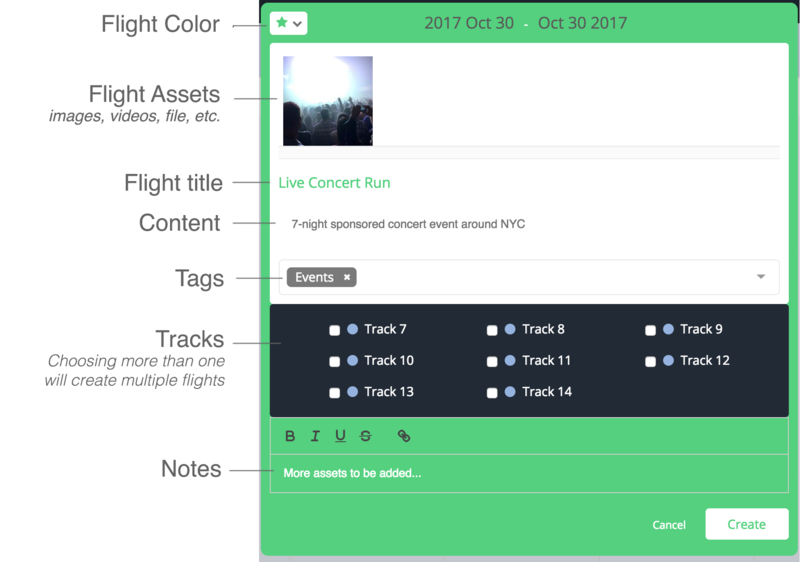 As a reminder, the ‘Flight’ is the term used in ATOMIZED to describe the primary method used to help you plan, organize, and view your content. While there are additional methods to create flights depending on the view you have selected, the ‘Create New Flight’ button above can be used and accessed from any view. This will open the ‘Create New Flight’ window, which will allow you to input all relevant attributes for your flight. Once created, the Flight will be displayed within the Canvas based on the relevant attributes assigned during creation (Start/End Date, Track, etc.). When a flight is clicked, all relevant information will be displayed in the Flight Details Panel. 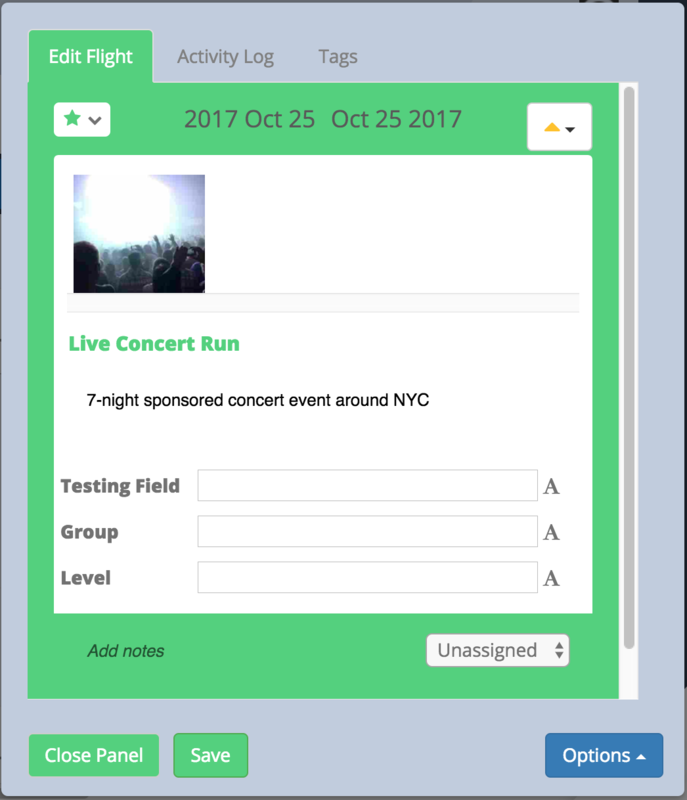 Owners and Collaborators of a campaign will have the ability to modify the details of an individual flight, view a full history of the flight since it was created, or delete the flight, using this panel.